(St. Charles, MO) – August 2nd is another important day for Missouri, at least in terms of politics. That’s the Primary Election day for statewide offices (and many others). 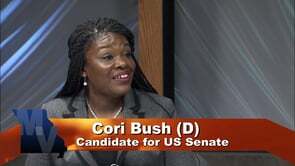 This week, self-described “Sanders Democrat” Cori Bush explains why she’s running for the US Senate in a race where she’s considered a long-shot to win. She describes the impact she hopes to have and her goals if elected. 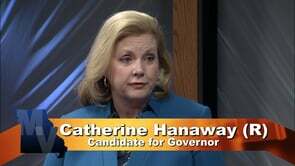 Also, former Speaker of the Missouri House Catherine Hanaway is in a tough, four-way race for the Republican nomination for governor. She makes her case for the nomination and talks about both her stands on the issues in the headlines right now and what she hopes to accomplish if elected Governor.